The Bologna Trade Fair, Cersaie 2016, gets underway this coming Monday, September 26th, with architecture, interior and global design all being under the spotlight in the Italian city. Five full days to go over the latest trends in the sector, counting on renowned firms, such as the PORCELANOSA Grupo. The eight that firms make up PORCELANOSA Grupo are, another year on, present at Cersaie in order to offer integral designs for both housing and public commercial spaces. By means of an elegant exhibition space, they will show, once again their global potential as well as their wealth and assortment of both their materials and products. Likewise, because of their quality, they will stand out, and because of the use of the new technology applied to materials, as well as their special design and their utilisation capacity, both in interior and exterior spaces. 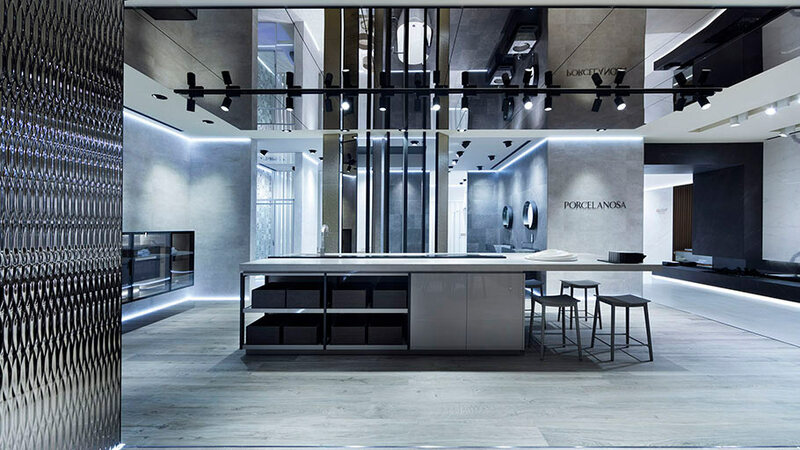 PORCELANOSA Grupo, located at the 26 Hall either A296 B198 or A288 B293 Stand at the Bologna Fair, has arranged its spaces as if they were interconnected atmospheres. Each exhibition atmosphere is focused on a different chromatic range, thus, achieving high serenity and harmony. All of the atmospheres’ leitmotiv lies in defining all the exhibited designs exclusively and in an elegant way, as well as defining their application to projects. 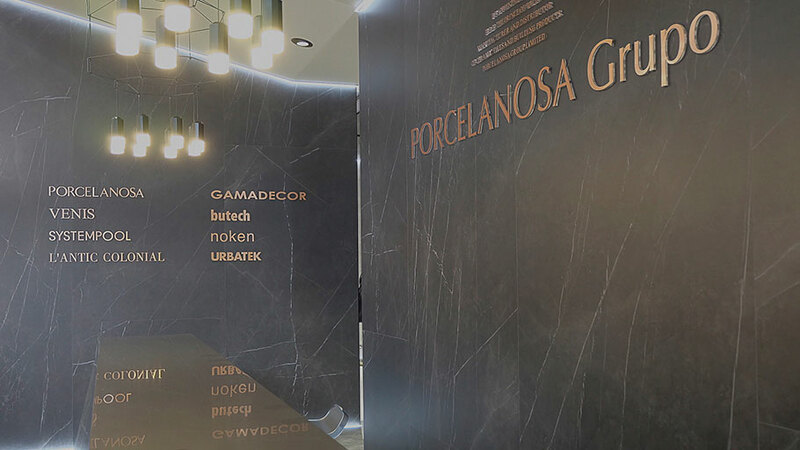 PORCELANOSA Grupo has focused its designs on being exhibited in two stands for this Cersaie 2016 edition. These are two spaces which are opposite to each other: the Premium stand and the PORCELANOSA Grupo stand. With regard to the Premium stand, it hosts both the exclusive collections and luxury designs from the eight firms. 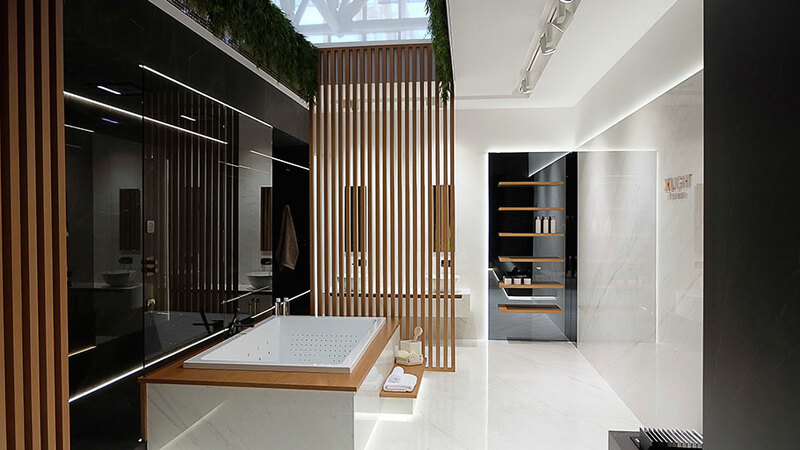 It is worth highlighting the space by Ramón Esteve, where one can see the Premium Collection selection; the Vitae space, the bathroom collection designed by Zaha Hadid Design for Noken; and the Tono space, the collection by Foster + Partners for PORCELANOSA Grupo. This collection will also be presented at Cersaie by means of exclusive passes this coming Monday. The stand consists of an area of approximately 180 square metres and with a rectangular base. It has a corridor access from its four sides. Its façade is most certainly worth highlighting, as it is conceived as a large cover with faceted shapes, and manufactured with the KRION® Solid Surface mineral compact, in its 1100 Snow White version. 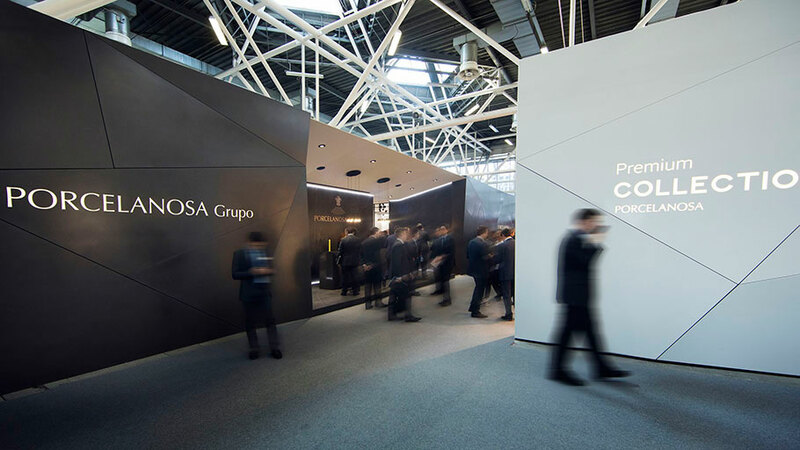 The PORCELANOSA Grupo stand, located opposite from the Premium space, consists of an area of approximately 360 square metres. It is divided into five more areas in turn: the access area, the Lounge area, the Homely Contract area, The Porcelanosa Home area and the Urbatek space. The Access area: When accessing the stand, the visitor sees a big help desk manufactured with the KRION® Taupé acrylic stone. Behind the help desk, the access is opened to a splayed space covered with the revolutionary XLight porcelain tile by Urbatek. The Lounge area: A space which is dominated by copper tones, natural textures and metal finishes, is done by Venis. It is characterised as the meeting point in the stand, with an area of tables and a café space. An outstanding fireplace is really worth highlighting, as, it is covered with materials by Venis. The Homely Contract area: Bathroom spaces which, among others, show some of the latest designs by Venis, new KRION® applications, and a series of taps and bathroom furniture by Gamadecor and Noken. In this area it is also possible to discover the latest designs by Butech regarding building systems and the exclusivity of the mosaics offered by L’Antic Colonial for home and contract spaces. The Porcelanosa Home area: A kitchen by Gamadecor, which has a worktop manufactured with the extra-slim porcelain tile by Urbatek, welcomes the visitor in order to make space for the latest designs by Porcelanosa regarding flooring and wall tiles and ceramic parquet. A home-oriented area which has four distinctive bathroom atmospheres according to the different sizes which make up a house. It is worth highlighting the innovative equipment by Gamadecor and Noken and the shower columns and shower screens by Systempool. A space based on the balance of shapes, along with different colours and finishes. 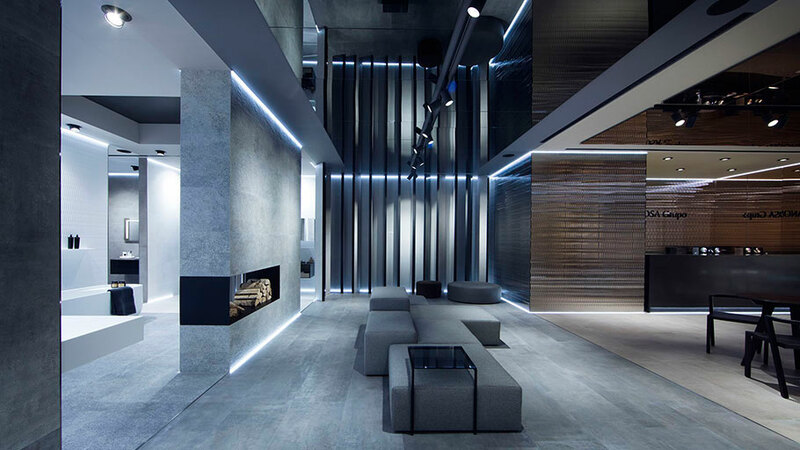 The Urbatek space: the firm presents an innovative wellness-resort space, where the extra-slim large-format porcelain tile, XLight, is the main attraction. This is about a Premium range, and furthermore, an innovative material, a series inspired by the allure of marble and aimed at big projects. The set has been designed by means of large-format ceramic plates, by combining various XLight finishes in several bathroom atmospheres. A versatile timeless collection, ideal for counters, benches, ceiling-cladding or furniture covering, including the new bathroom furniture presented by Noken. Cersaie is seen as Europe’s shop window, and what is more, one of the best in the world in relation to both the ceramic and bathroom design sectors. The event has each year, with an exhibition area of great features, covered about 176,000 square metres. As well as that, with almost 1,100 people visiting it year after year, and the audience numbers reach up to 80,000 people.